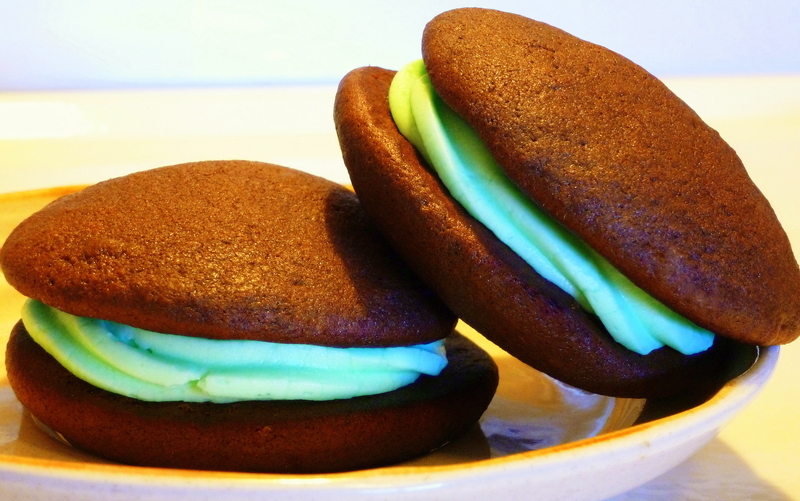 I have purchased Whoopie Pies at bakeries in the past, but I’ve never tried to make them at home – until now. I must say, I was very pleasantly surprised at how easy they really are to make. They don’t require a ton of ingredients, and they bake up in a jiffy. 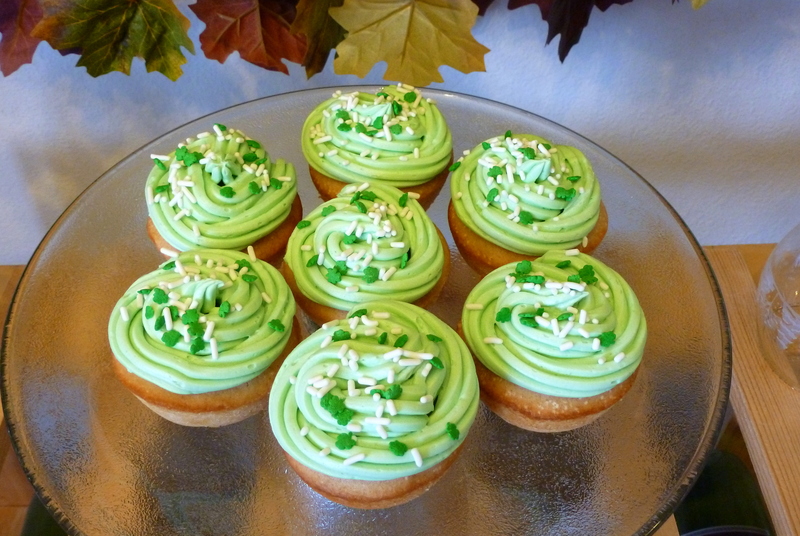 The cakes are soft, moist, and springy to the touch, and the filling is creamy and sweet. 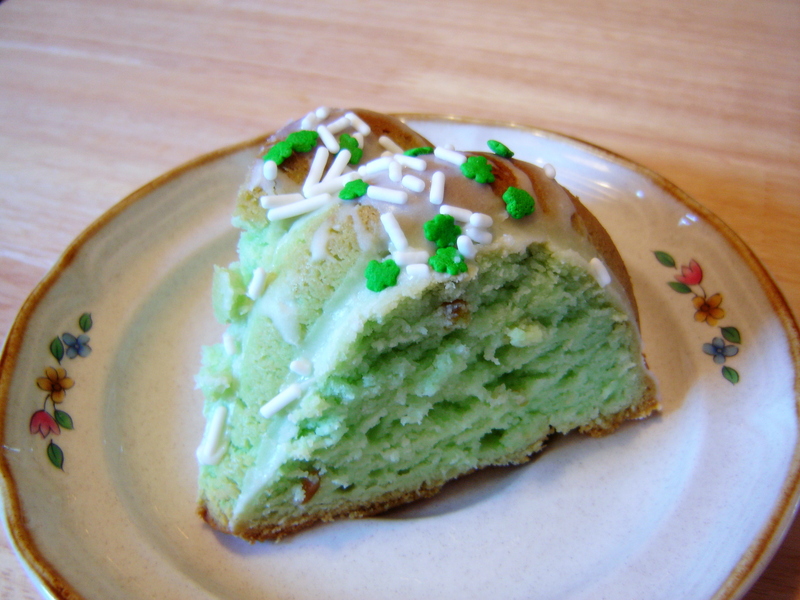 I used mint extract and green food coloring for the cream filling, in honor of St. Patrick’s Day, but you could omit the food coloring altogether, or substitute another color, and add different flavoring; if desired. Everyone loves to experiment with different flavors and color combinations, don’t they? 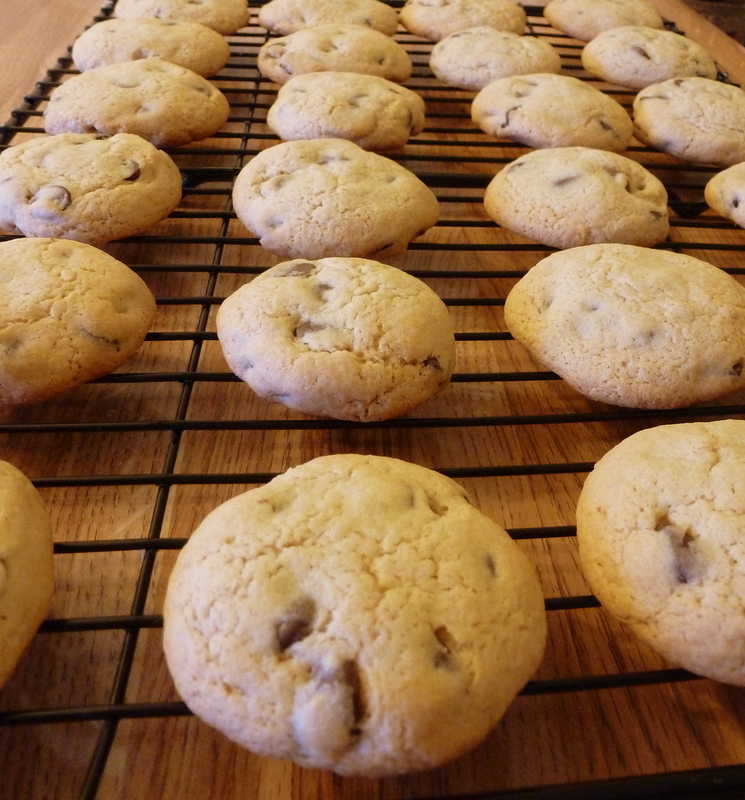 Here’s another yummy treat that I whipped up using the Homemade Irish Cream that I made earlier this week – Irish Cream Chocolate Chip Cookies! These cookies are soft, chewy, and oh so tasty. They have a hint of Irish Cream flavor from the Irish Cream liqueur, and I must say that the Irish Cream flavor pairs very well with the chocolate flavor of the chocolate chips. Have a wonderful St. Patrick’s Day everyone!! St Patrick’s Day is right around the corner, and what better way to celebrate the holiday than with this Homemade Irish Cream. 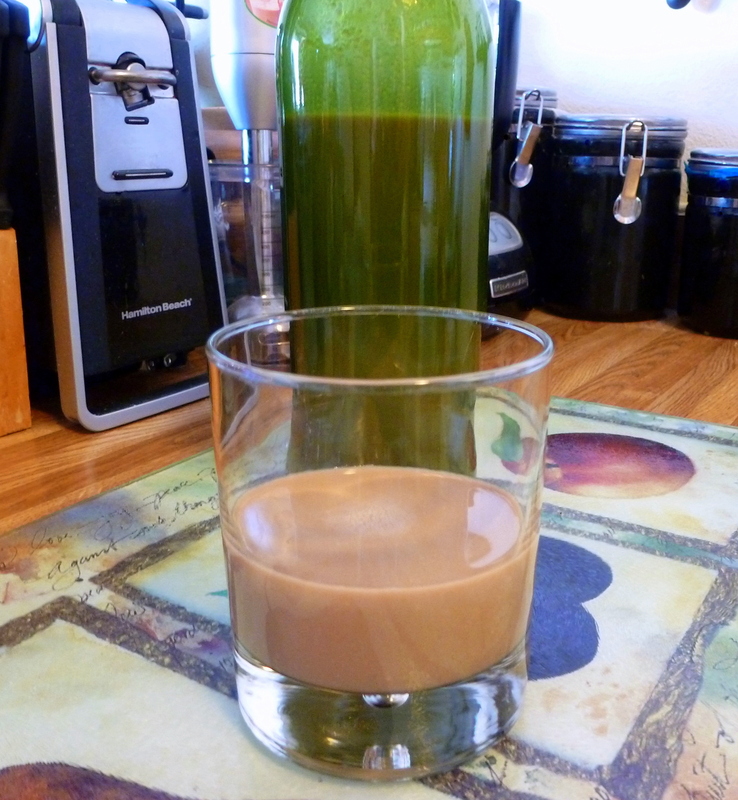 If there’s one liqueur I really love, it’s got to be Irish Cream. I enjoy sipping it plain, or stirred into a nice, hot cup of coffee. I should probably warn you though – this recipe makes a rather strong liqueur, so you may need to adjust the amount of whiskey you add a bit. I would start with adding one cup of whiskey, and then adding up to 1/2 cup more -depending on your taste. The pistachio pudding mix is what tints the batter green, and also makes this cake very moist. 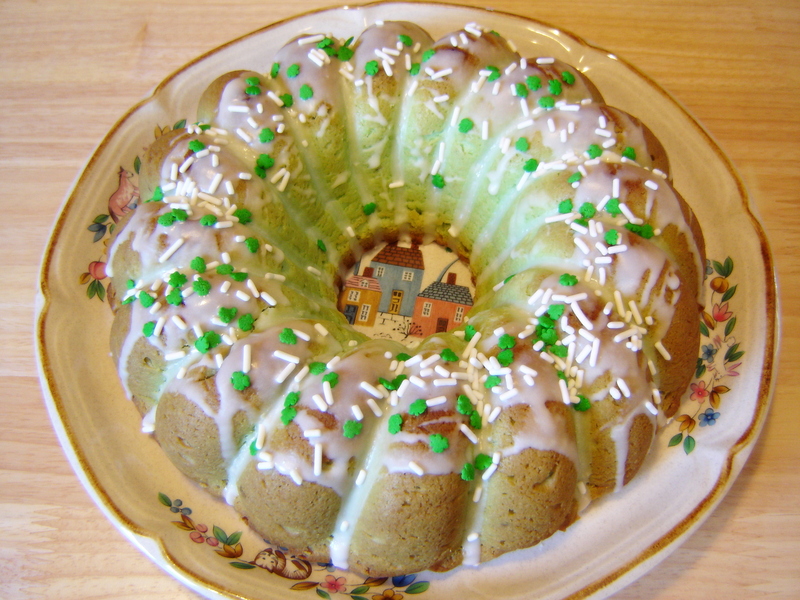 I also found some lovely Shamrock sprinkles at my local Joann Fabrics store, and sprinkled them on top of the glaze, which really topped off this cake nicely.